Michael Tall is a family dentist in Idaho Falls, ID. This mobile-friendly redesign kept the original color scheme, and general feeling, but refined everything. Every aspect of the site was improved and modernized, while still being true to it’s original spirit. 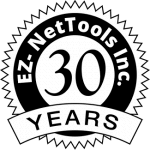 Unlike many other redesigns, this site was built completely within the EZ-NetTools system. The webmaster wanted to continue using the tools with which he’s familiar. So we created a beautiful, modern experience using the classic system.